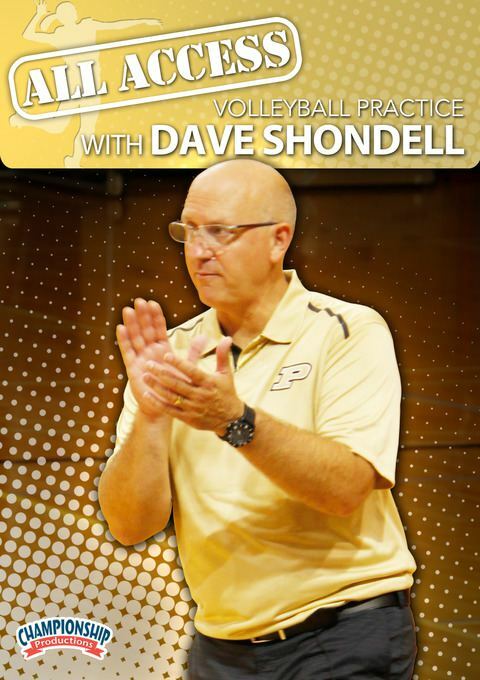 Discover practice strategies, leadership training and numerous drills as you watch Elite Eight coach Dave Shondell run four live practices. This practice focuses on individual passing and passing fundamentals. The drills in this segment emphasize passing balls outside the body and moving to the ball. You’ll discover what Coach Shondell believes to be the most important teaching cues when it comes to passing balls that are outside the body or involve movement. You’ll not only hear Coach Shondell teach these techniques, you’ll also see players fully engaged in drills that reinforce these skills. 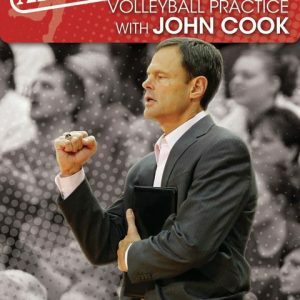 Although this portion of the practice primarily emphasizes passing, you’ll also see blocking footwork drills performed by middle blockers, swing mechanic drills with middles and outsides and defensive digging drills. Team huddles before and after drills will give you an idea of the focus of each drill. Practice two of this two-a-day series features position-specific station work. Liberos and defensive specialists practice passing balls hit to a variety of locations. Setters work on transition and different types of sets. The camera moves from station to station to show how to run a practice that works on multiple skill sets simultaneously. The second half of the presentation is all team play, including serve receive work and competitive games. You’ll see games that really push athletes to compete. Throughout the presentation, Coach Shondell pulls his players together to talk about what he sees, what needs improvement, what looks good and what strategies they are focusing on in the drills. You’ll good sense of what needs to be done to improve all different types of skills. Practice begins with station work split between two courts. On one court, setters work with middles and outside hitters on attacking mechanics. Arm swing and ball contact are emphasized throughout these drills. On the second court, coaches work with passers on receiving different types of served balls. The drills rotate the serve locations so that passers can work on their movement to the ball. After station work the practice shifts to defensive-minded drills where players work on blocking and digging. The drills in this segment range from individual to full-team drills with a focus on defensive skills. The last part of the practice is straight up team play. Throughout these games, the coaching staff critiques players, giving them feedback and corrections on their skills and techniques. With All Access look, you’ll go right inside Coach Shondell’s team huddles before practice and before each drill and hear how he motivates his players to maximize their performance. This session focuses on developing leadership skills among key players and using fast-paced drills to set the tone and culture for hardworking practices. First, Coach Shondell has an in-depth discussion with his players about leadership and what it will take from them to become their best. The team then breaks up into station work where defensive specialists continue working on their passing and setters and hitters move to a different court to work on offensive attacks. The hitters get to work on attacks such as 4’s, 9’s, gaps, slides and combination plays. This segment is a great example of how to work various attacks with the left sides, middles and right sides. This presentation gives coaches a good idea of what an efficient practice looks like while still covering many facets of the game such as defense, offense, passing, serving and game play. 354 minutes (4 DVDs). 2015.